A dark stormy sky, birds in hiding, leaves receiving a long due wash perhaps that rings true for the roads as well, my wind chime creating more noise than soft tinkles, incessantly lashing rains and the sunlight a mere trickle. Now, I always have a prominent reason for making what I do and more often than not it is the fear of my pantry items galloping towards their use by date, this time it was half a pack of custard powder that was the object of my affection. Remember custard powder, the easiest way to make dessert, one which adults love but children detest for some reason, the one which makes a silky egg-free pouring sauce atop seasonal fruits served to you at least twenty odd times by the host when you were a dinner guest?. Yes that same old, old fashioned friend in need. 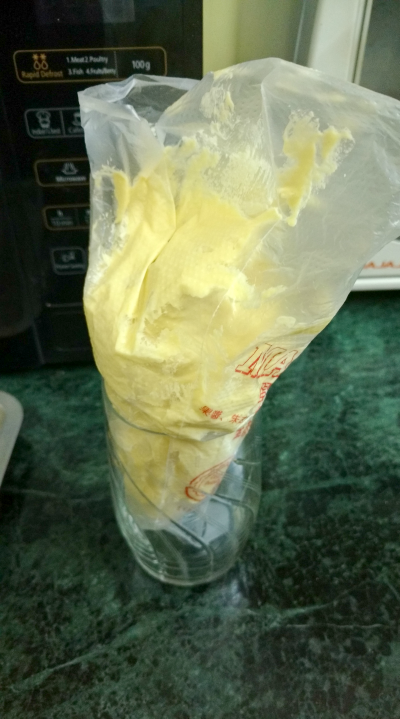 Now did you know that this very custard powder can be put to a myriad of other uses?, make ice cream (after all its nothing but frozen custard) put it into cakes (for a light and airy crumb) or make melt in your mouth cookies with it (that's what I did). 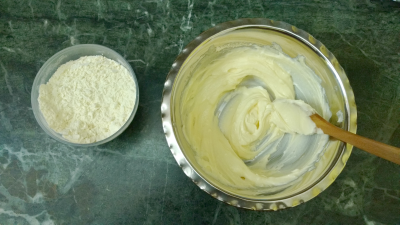 Custard powder is nothing but flavoured cornstarch (cornflour) and in my humble opinion the flavourings really skyrocket the taste of your would be dessert, its so good! Now the rains really bring out the baker in me (for what ever reason) and one night just before drifting off to slumber, I recalled these absolutely delicious Ginger Shortbread Cookies I made last monsoon with cornflour, joining the dots I decided to use my neglected packet of custard powder instead of cornflour and create a lovely new shortbread cookie the next morning. Sieve the flour and the custard powder together into a bowl. In another bowl mix in the butter and the sugar with a wooden spoon and blend until pale in colour, smooth and creamy. Put in the flour mixture and mix until smooth and there are no lumps. 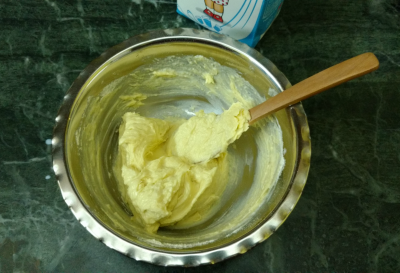 Add a little milk only if the dough is stiff or you want to thin it down slightly to a pipe able butter cream consistency. Fill you dough in a piping bag (use a zip lock bag if you do not have a piping bag) fitted with a star nozzle. 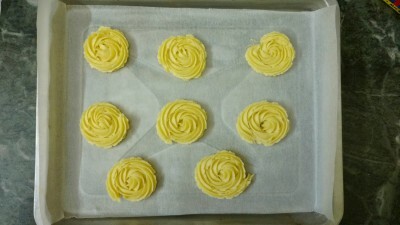 Line a baking try with parchment and pipe out little rosettes keeping a distance of half an inch between two. Refrigerate the cookies for 15 mins and meanwhile preheat your oven to 180 degrees centigrade/ 350F/Gas mark 4. After cooling for 15 mins bake the cookies for 8 to 10 minutes or until they turn golden brown at the edges. Allow to cool down to room temperature and then store in an airtight container. Note: The baking time depends on the size of the cookies. It could be 8 to 10 minutes for small cookies and 10 to 12 minutes for larger cookies. Make sure you keep a close watch on your oven and take the cookies off after you see them turning golden brown at the edges. 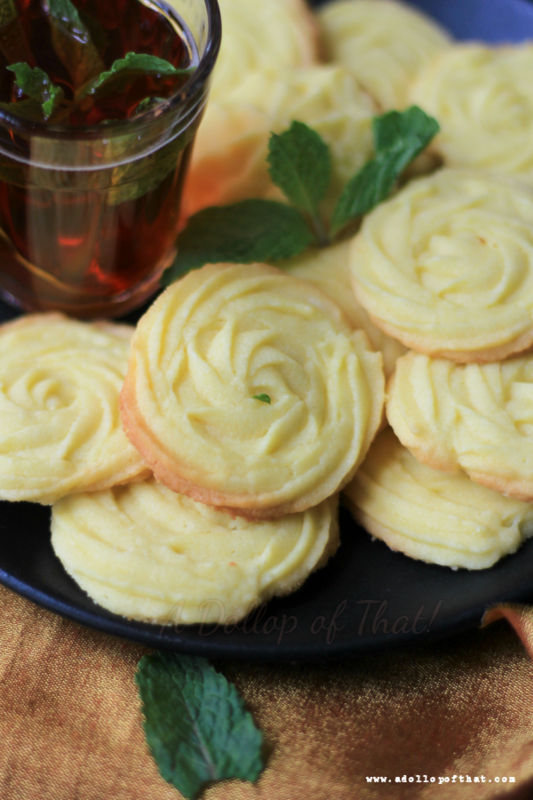 The cookies will be slightly soft when just out of the oven, but will crisp up in no time.